Info: Sonic used Spin Attack toward the enemy and uses it again behind the enemy. Shadow uses his Homing Attack three times. Info: Sonic used Sonic Boost about 4 times (first by the front, second by the back, third by the front, and finally he jumped and used it again by the back). 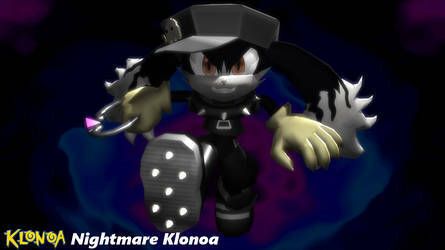 Shadow powered up with Chaos Boost and attacked with hand-to-hand combat. Info: Sonic jumped, used Stomp, and used hand-to-hand combat on the enemy. Shadow used Spin Dash in front and used hand-to-hand behind the enemy. Sonic: Hey, do you have any Geniuses Commandos? Because my best pal, Tails may easily put him to shame and he is just a kid! Captain: Yes… He is also BABY Commando. Shadow: ...Well, that sure shut YOU up. Sonic: Hey, June, could you throw your ring so Shadow & I could do a Light Speed Dash! Shadow: Ugh, that is not one of OUR rings, you idiot! Besides, June needs it to fight! June: Well, I am fine for testing it out for experimenting. It always comes back to me, anyway. Sonic: You know, Leon. We had our fair shares of going through haunted mansions too. Shadow: However, instead of zombies, we fight ghosts. Leon: ...Well, let’s pray for my sake I never face them. I don’t want to waste ammo and anything I literally can’t hit. Shadow: Sonic, if you are not going to act seriously, at least focus on the enemies! Sonic: Um, sorry. I just can’t help but reminded of a fighting tournament I was in when watching Bahn fight. Bahn: Oh really? Maybe we should talk about it after this battle is over! Tron: So this Eggman guy is a robot inventor. Heh heh heh. How about you show me where he lives sometime? Sonic: Hey, that would actually be a good idea! What do you think, Shadow? Shadow: No. We would just be losing one mad scientist and gain another. Shadow: Vashryon, try to act seriously! Just showing off with those flips! Vashryon: Hey, this is how I always fight! Besides, Sonic doesn’t seem to care that much. Right? Sonic: Nope. If that is your style, go for it. Personally, I wouldn’t be seen holding those things!